Agriculture represents a key sector in achieving the Sustainable Development Goals (SDGs), especially when it comes to lifting close to a billion people out of rural poverty. We can’t ignore that many millions of poor households continue to depend primarily on farming. Without investment, they remain locked in deprivation, unable to afford better seed and fertiliser or install irrigation that would raise earnings. Agri-business can help to invest in supply chains and partner with smallholders, providing important know-how and funds. But investors are often put off by risks in agricultural supply chains, including the possibility that actors may not meet Environmental, Social and Governance (ESG) criteria relating to deforestation, child labour or land tenure conflict. These criteria matter to an increasing number of ethically minded consumers, consumer-facing companies and governments. And several ‘watchdog’ NGOs monitor them and publicly denounce detected violations. Last December, for example, a major UK retailer’s Christmas advert went viral because it pledged an outright ban of palm oil from its products, using a recycled Greenpeace campaign. Opinions divide, however, on whether blanket boycotting of certain products is the answer to ESG violations. The media storm generated by the online advert now risks threatening years of efforts to promote ESG standards in the palm oil industry as a means of achieving sustainable production by advocating boycotting it altogether, including certified sustainable palm oil. Since overtaking soy to become the world’s most widely produced vegetable oil in 2003, palm oil production has more than doubled. The crop’s massive expansion has been criticised for causing environmental degradation, particularly in Southeast Asia. 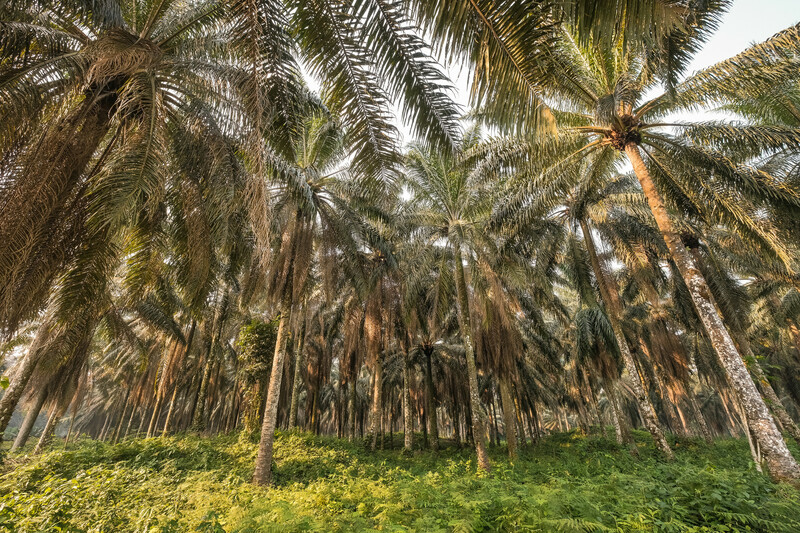 However, from 2013 there have been concerted efforts to promote ESG practices in palm oil (and agriculture in general) by focussing on certification. By now most consumers recognise Fair Trade coffee and Rainforest Alliance bananas, and an increasing number can also spot the Roundtable for Sustainable Palm Oil’s (RSPO) label on the back of shampoos, biscuits or chocolate spreads. Meeting RSPO’s standards isn’t easy and tensions have been on the rise for some time. Citing violations, the Roundtable suspended IOI (a large producer) and Nestlé from the scheme in 2018, although both were eventually readmitted. The same year also saw NGOs accusing RSPO members of hiding deforestation through a murky network of subsidiaries. And these are just problems within RSPO. Ultimately, just 20% of the world’s supply is certified, meaning that over three quarters of palm oil is produced by firms who don’t subscribe to RSPO’s ESG standards anyway. But the companies that have signed up to RSPO have made a real effort to support ESG practices and the teams that implement them. Is it fair to penalise those that have invested in ESG by boycotting palm oil altogether? In addition, as research on the ‘attitude – behavioural intention’ gap shows, even the more ethically-minded consumers are not always consistent in their attitudes to whether their food has been responsibly produced. They may use their judgment when shopping, but what of all the food that arrives as catering — in canteens, restaurants, cafes and street-corner shacks? Few people ask themselves how free-range chickens are fed despite soy now being the second largest driver of deforestation in South America. And it’s never easy to resist the temptation of chocolate, despite reports of deforestation in West Africa’s cocoa sector. The problem is that while these tensions continue to boil away or — in the case of palm oil — boil over, time is ticking away to achieve the SDGs. Negative consumer campaigns make financiers nervous about investing in agriculture, which is already horribly underfunded. But until we can promote sustainable supply chains rather than ban them altogether, we won’t be able to use the agricultural sector’s enormous potential in tackling global poverty, especially in emerging markets. Advocates for sustainable development should be focussing their efforts on promoting adherence to ESG standards rather than boycotting the entire industry. A far better way of improving ESG standards is to make the case to companies that haven’t yet signed up to certification schemes such as RSPO. Tools can help companies see the error of their ways. With support from the Department for International Development (DFID), the Overseas Development Institute and TMP Systems have just published TRT, a free tool that agribusinesses can use to quantify the risks of land tenure disputes with local communities. While similar approaches already exist for assessing environmental risks (e.g. High Carbon Stock Approach), we need more measures to capture the social impacts of investments such as the risk of land tenure conflicts. Alongside improving the sustainability of our supply chains, the responsible investment that these tools facilitate can thereby help achieve the SDGs as well. Meanwhile, the least we can do as consumers is to fill our shopping baskets with brands that have demonstrated progress in ESG, even if it involves us paying a little extra. And if more of us started questioning the certification of ingredients in our takeaway lunchtime sandwiches, it could address a lack of regard for ESG standards in the restaurant and hospitality sector too.